From the great wall to the Bund, from the Summer Palace to the Suzhou Gardens and Confucian temples, from Tai Shan Mountain to the Yellow Mountain and West Lake...We will explore Confucian culture, tea culture, Chinese silk and many world cultural or natural heritage sites by bus and rail. Meet your guide at the airport and transfer to the hotel. The rest of the day is at leisure. Morning tour of the Tian'anmen Square and the Forbidden City. After lunch visit the Beijing Hutongs (by rickshaw) and a family who live in a Siheyuan (quadrangle dwellings). Great Wall hiking tour from Jingshanling section to the Simatai section (12 km, about 5 hrs). 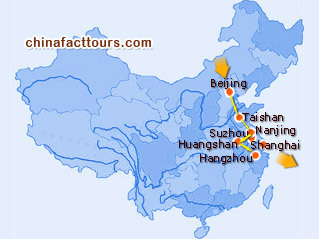 Visit Summer Palace, Temple of Heaven and Beijing Urban Planning and Exhibition Center. Optional night shows: The Legend of Kung Fu or Beijing Opera. Free morning for your own exploration. Transfer to Beijing railway station and take an afternoon D train to Tai'an (4 hrs and 20 minutes). Be met at Tai'an rail station and transferred to your hotel. After breakfast go to Qufu to visit Confucius heritage (65km, 1hr) which includes residential quarters of Confucius family, Confucius Temple (where people pay respect to Confucius around the world) and family burial ground (huge complex). Day tour of Tai shan Mountain including chairlift. Free morning. After lunch transfer to train station and head for Nanjing (4.5 hours). Be met and transfer to the hotel. 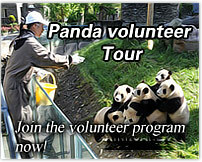 Full-day tour of Dr. Sun Yat-sen Mausoleum, Ming Xiaoling Mausoleum, Confucius Temple, Zhonghua Gate and Qinhuai River. Transfer to take a morning train to Suzhou, be met at the train station. Transfer to have lunch, then visit the Master of the Nets Garden and the No. 1 Silk Factory. Morning visit the Panmen Gate and the Grand Canal (by boat). After lunch, take train to Hangzhou. Be met and transferred to the hotel. Enjoy a morning cruise on the West Lake. Later visit Lingyin Temple, Feilai Peak and the Longjing Tea Plantation. Drive to Huangshan City. After lunch, proceed to the Yellow Mountain. Take a cable car up to the summit and check into the hotel. Enjoy the breathtaking sunrise if weather permits. After breakfast, visit the North Sea Scenic Area and the Begin-to-Believe Peak. Take cable car down the mountain and then transfer to visit Hongcun Village and the Tunxi Old Street. Later be transferred to take an overnight train to Shanghai. Meet your guide at the train station and transfer to the hotel. Later visit Shanghai Museum, Yu Garden, The Bund, and Nanjing Lu. Free day for your own exploration.